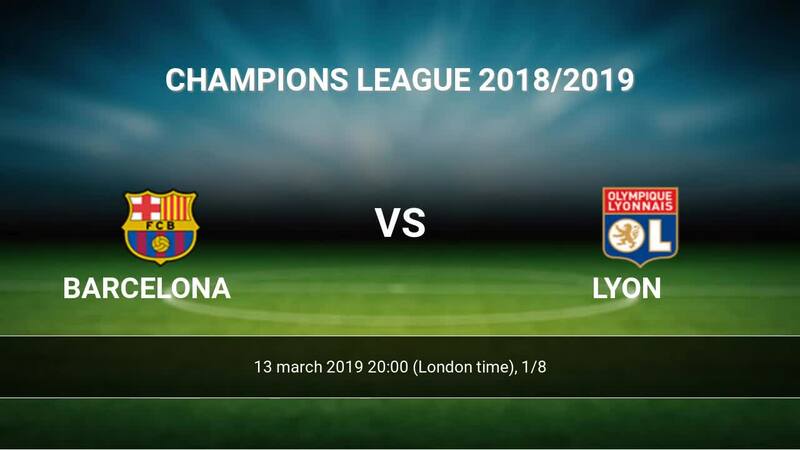 Match Barcelona-Lyon Champions League the fixture is set to kick-off today 20:00 on Camp Nou. Refereee Szymon Marciniak. Barcelona takes place, which promoted to the European cups. In 5 last matches (league + cup) team gain 0 points. Barcelona from 2 matches can not beat any rival. To defend Lyon the most demanding players will be Lionel Messi 6 goals, Ousmane Dembele 2 goals, Jordi Alba 1 goals, because this season they scored the most goals for Barcelona of the entire composition. Most goals developed: Lionel Messi 1 assists, Ousmane Dembele 1 assists, Jordi Alba 3 assists. Lyon takes place, which promoted to the European cups. In 5 last matches (league + cup) team gain 0 points. 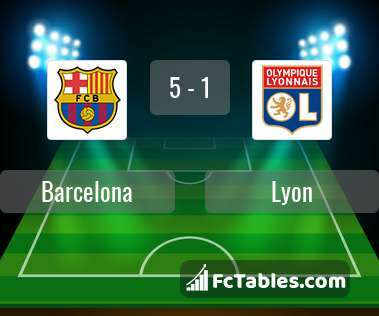 Lyon from 6 matches can not beat any rival. Players Lyon in Champions League with the highest number of goals: Nabil Fekir 3 goals, Gnaly Maxwell Cornet 3 goals, Tanguy NDombele Alvaro 2 goals. Most assists in the club have: Nabil Fekir 2 assists. Direct matches: Barcelona won more direct matches. 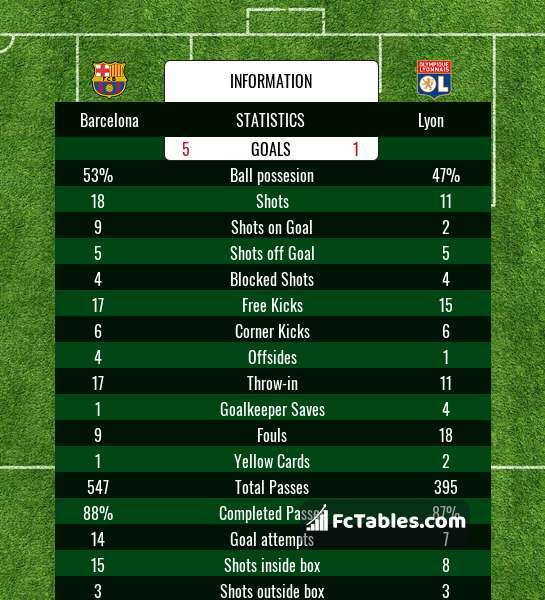 Barcelona won 4 matches , Lyon won 0 direct matches, was a 3 draws. In 4 matches the sum of the goals both teams was greater than 2.5 (Over 2.5), and 6 matches teams scored more than 1.5 goals (Over 1.5). In 4 matches the both teams scored a least one goal (Both teams to score).